Regardless of how one feels about the sequestration debate – either it’s a terrible example of heartless partisan gridlock or a tough but necessary path to fiscal discipline – the reality is that the automatic cuts expected in different areas of government spending are already having an impact. “We have lost about 20 employees through sequestration,” said Raymond Lopez, Jr., president and CEO of Engineering Services Network (ESN), one of the top Latino-owned companies in Virginia. ESN is an engineering and technology company which does contract work for the Department of Defense. In anticipation of cuts, Lopez’ customers have cut back on orders, resulting in the layoffs. Saw this post this morning. Writing this month for the New York Times, Megan Wood speaks of divorce as an opportunity for women to create a new identity — a trend that is, apparently, gaining some traction. The idea of name reinvention after divorce was popularized by Cheryl Strayed in her riveting memoir, “Wild — From Lost to Found on the Pacific Coast Trail.” The author, born Cheryl Nyland, explains that she needed a meaningful new name after her divorce and, rather than opting to return to her birth name, chose one that fit her history. Cheryl had, she freely admits, strayed. While we question whether most women would find comfort in such a decision — query, can one be passive-agressive toward one’s self? — still the issue of what name to carry forward is one most divorcing women confront. For most of us, the question is whether we are most comfortable identifying ourselves as we have throughout the years of our marriage, perhaps as the mother of our children — maybe from a prior marriage — or as our father’s daughter. The option of adopting a brand new name is a more radical notion. The options are not quite as open for women divorcing in Connecticut as Wood reports them to be in New York. Outside of divorce, any Connecticut citizen may apply for a name change in Connecticut courts and, as long as there is no intent to defraud creditors or others, the application will ordinarily be granted. However the free no-fuss name-change option available in family court for divorcing women is limited. 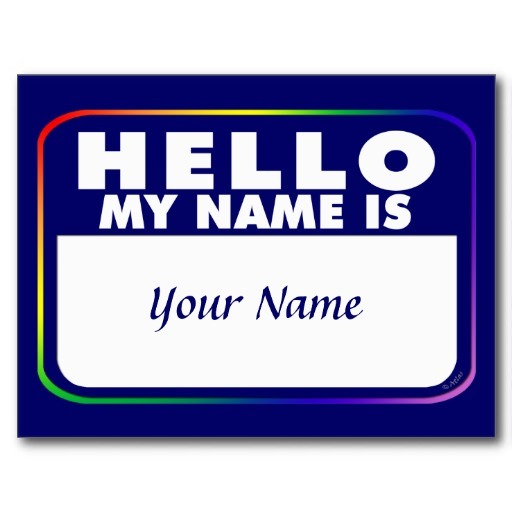 Under the family law statute on the subject, you may only elect to resume a birth name or other former name, not a new one. I’d be remiss in not acknowledging that the name change statute applies to men as well. However, typically this means simply dropping the part of a hyphenated name that already included his birth name — hardly as traumatic a decision as that faced by women. ALIMONY IN CONNECTICUT — ARE EARNINGS AND EARNING CAPACITY THE SAME THING IN A BAD ECONOMY? A new Connecticut Appellate Court case provides us with a window into what may be a shift in judicial attitudes on the issue of whether to look at earning capacity vs. actual or reported earnings in alimony and support cases. In 2009 when Sandy and Scott McRae — both small business owners — were divorced, the trial court entered an alimony award based not on the couple’s respective financial affidavits, but instead on what the court estimated their real earning capacities to be — a higher number for both husband and wife. Based on those assumptions, the court entered an order that, in theory at least, equalized their incomes. Mr. McRae wasted no time petitioning the court to reduce the award. On his third attempt in 2011, he finally met with success. Judge Trial Referee Herbert Berall reduced Mr. McRae’s weekly alimony obligation from $250 to $150 per week. Better still, from Mr. McRae’s point of view, the court allowed one half of that amount, $75 per week, to be treated as payments toward a substantial arrearage Mr. McRae had accumulated by unilaterally reducing his alimony payments without the benefit of a court order. At that rate, Mr. McRae’s arrearage would not be fully paid for approximately 7 years and, meanwhile, even the remaining $75 — the new current order — would drop away before long under the terms of the original decree. Sandy McRae appealed the order on a number of grounds. The question that interests us the most was whether the court erred by comparing apples to oranges — 2009 earning capacity to 2011 reported earnings. The court made it clear on the record that it considering Mr. McRae’s financial affidavit and tax returns in deciding whether to modify the 2009 alimony rather than looking beyond those numbers as the first court had done to consider, instead, Mr. McRae’s earning capacity. The point is a technical but important one. Under Connecticut law and the law of most other states as well, courts cannot modify alimony without first finding, as a matter of fact, that there has been a substantial change in the financial circumstances of one or both of the parties. There were two sides to Ms. McRae’s argument. If the trial judge had looked at earning capacity rather than his actual reported earnings, then the judge hearing the motion for modification should have done the same thing. Conversely, she argued, if the court was considering Mr. McRae’s reported income in 2011, it should compare it, not with his 2009 earning capacity, but with what he had reported his real earnings to be in 2009 — about the same number he reported in 2011. Effectively, her argument was that if the court had compared apples to apples — reported earnings with reported earnings — it should not have modified her alimony because Mr. McRae was reporting about the same level of income in 2011 that he had reported in 2009. The appellate court rejected Ms. McRae’s arguments finding essentially that the modifying judge based his decision on an assumption that Mr. McRae’s earnings and earning capacity were one and the same so the order was still based on a comparison between past and present earning capacity. This despite the lower court judge’s own words. So what does all this mean? In part that depends on how many other judges agree that lower incomes are more likely to be the result of economic reality than of divorce game-playing. The case-law in Connecticut makes it clear that courts have the right to consider a person’s earning capacity if they believe that the individual is under-employed. We often encounter clients who insist that their spouses are deliberately under-reporting income or keeping his or her earnings artificially low in order to achieve better results in divorce court. Now it seems, convincing the court of that may be harder in a bad economy than it has been in years past. This does not mean that earning capacity is lost as a concept in divorce law, but it does mean that the standards of assembling proof, including the use of expert witnesses where appropriate, are higher than ever.